Pope Francis has warned that environmental sinners and the “powerful of the earth” will face the wrath of God of they don’t protect the environment and make sure everyone has enough to eat. The Pontiff made his comments at a mass marking the opening of the general assembly of Caritas, a Catholic charitable organization, and they come ahead of the much anticipated publication of the papal encyclical on the ethical aspects of environmental issues. Caritas is a confederation of 165 Catholic charities which operates in over 200 countries.It holds a general assembly only once every four years and this one, which runs until Saturday is the first under Pope Francis’s papacy. An encyclical is issued as a letter from the pope to bishops around the world and is a statement of fundamental principles, which is intended to guide Catholic teaching. “The planet has enough food for all, but it seems that there is a lack of willingness to share it with everyone. We must do what we can so that everyone has something to eat, but we must also remind the powerful of the earth that God will call them to judgment one day and there it will be revealed if they really tried to provide food for Him in every person and if they did what they could to preserve the environment so that it could produce this food,” he said. 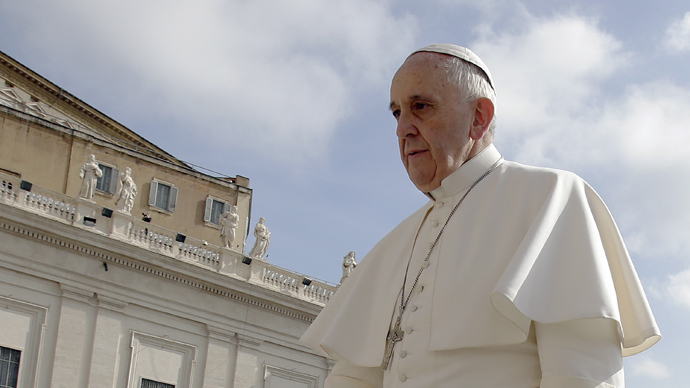 The Pope has hinted that he believes climate change is a man-made phenomenon. Climate change skeptics have urged the Pope not to take sides but campaigners on Climate change believe a firm signal from the Pope that he considers it a danger could have an important influence on actions to try and solve the problem.